Anyhow, here's what I came up with. 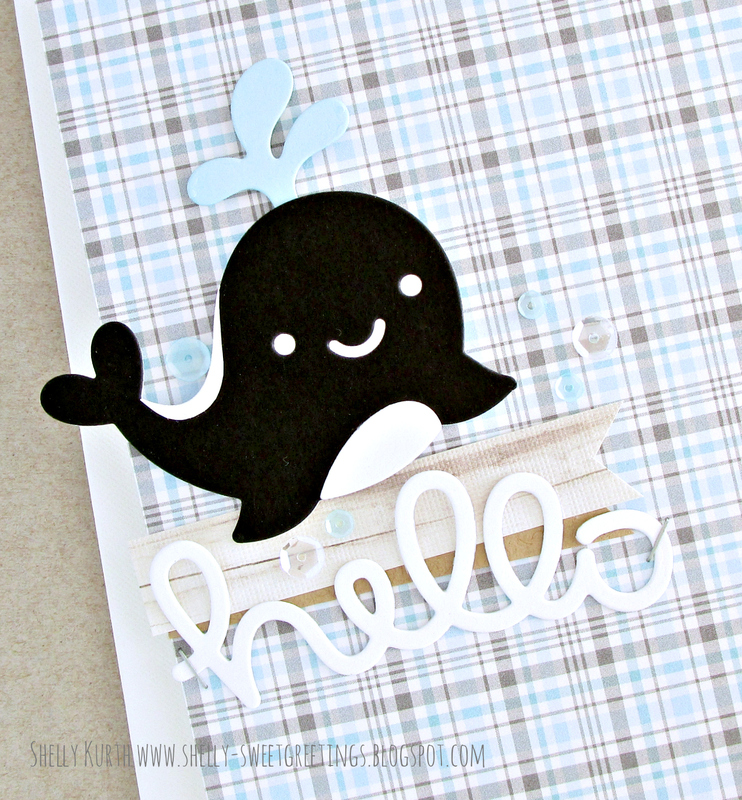 A killer whale, hello! I started just with a whale but was having trouble deciding on what colors I wanted it to be. So after some thinking, I thought why not make a killer whale.?. To add a little more white to my whale, I did some easy cutting with another white whale die cut piece and added a tad more white to the 'back' of my whale. Thus, making it more like a killer whale. Oh my stars, Shelly! Your little orca is adorable, with his ultra cute smile and blue spout of water! The plaid 'ocean'...fantastic! Day brightened! First I see black cards, now i see plaid cards, what the heck is going on here Shelly?!? Hahaha, they're both lovely, of course. 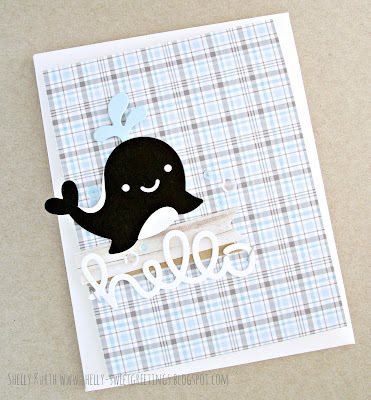 Love your killer whale with a cheery smile!